LAPD Captain: Any man who gives up his gun to some punk is a coward. Any man who does can kiss his badge goodbye, if I can help it. You're policemen. Put your trust in God. Ted Danson usually is found jokin' and schmoozin' in sit-coms. But there's no jokin' or schmoozin' in this movie. Here, Mr. Danson plays a police officer who is brutally murdered by two no-account thugs while his partner, completely terrified, looks on and does nothing and then is methodically hunted and only by sheer luck escapes. Remember, the two thugs actually kidnap and terrorize not two hapless civilians, but two police officers armed with their weapons. The message of this movie to me is clear: if this can happen to two police officers, it can happen to anyone, so beware. This is a powerful movie, not only because of the story, which is intense and provocative, but also because of the acting, which offers chilling portrayals of two psychopathic criminals who offer no apologies for their wanton and heinous acts and of an emotionally shattered police officer who is experiencing a nervous breakdown secondary to post-traumatic stress exacerbated by his overwhelming feelings of guilt over having done nothing to save his partner's life. 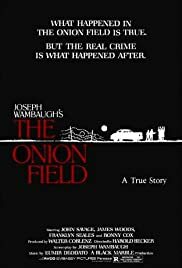 This movie also shows how the criminal justice system reduces this act of terrorism to the level of being just another case as the case drags on for years in the courts. Indeed, the tragedy and terror of the event soon becomes eclipsed by the sheer mountain of legal paperwork it generates in the courts. This is a great movie which is based on an excellent book, which in turn is based on an actual event.